Are You Ready To Feel The Burn With The Spiciest Momos Challenge At This Koramangala Restaurant? The momos are ridiculously spicy that you have a sign a waiver form before you start the challenge. 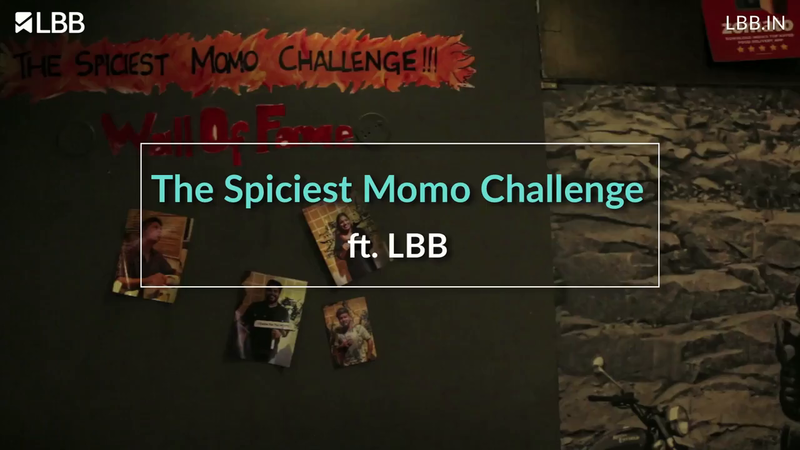 Bravehearts and food challenge specialists say hello to Bamey’s The Spiciest Momo Challenge. Imagine the spiciest food you’ve had and all the hell you went through trying to cool your tongue off. Multiply that experience by a thousand times, nay, 5000 times, and that’s what The Spiciest Momos Challenge at Bamey’s Restro Cafe is all about. It’s not for the fainthearted, so sir. This challenge will have you eating ten momos (chicken or vegetarian) made with one key and deadly ingredient, the infamous Bhut Jolokia or Ghost Chilli. It’s one of the spiciest chillis in the world with a Scoville Rank of one million. In laymen terms, it’s spicier than 5000 green chillis put together. Broke a sweat there already? There’s more. The momos are fried and drenched in a gravy, which yes, as you guessed made with Bhut Jolokia. Fiery is an understatement as we learnt the hard way. Oh yes, we did try the challenge and failed at it quite so miserably as you can see in the video. We just had three momos, if you are wondering. Now, the challenge (which you need to pre-register) starts off with you sign a waiver that says you alone are responsible for what may happen to you during the challenge (yeah, pretty blunt that way). Once the momos are brought to the table, you have got 10 minutes to finish off those 10 atom bomb-like momos along with the gravy. Yup, you got to finish the entire thing – gravy and momo together under 10 minutes to win the challenge. Should you win, you will the few people (currently only 4 legendary people have won it) who makes it to the wall of fame. But that’s not all, you will also win free momos for 100 days. Yup, a plate of momos for 100 days, which roughly translates to momos worth INR 10,000. If you think you can beat our score of three momos and win the challenge, sign up for it right away here. And then grab your squad or find someone who’s cool enough to take on this challenge with you and head to Bamey’s. Guys, the momos are really spicy and even for someone who can handle his spice, this writer strongly recommends that you give it a thought, drink some milkshake, and then head here for the challenge.